In the never-ending process of building and rebuilding our cities, we make choices about what’s important – where we live, where we work, how we get from place to place. Every choice we make is accompanied by consequences, some intended, some not. And some of the nastiest consequences of our rottenest choices stay with us in our marred urban places for a very, very long time. 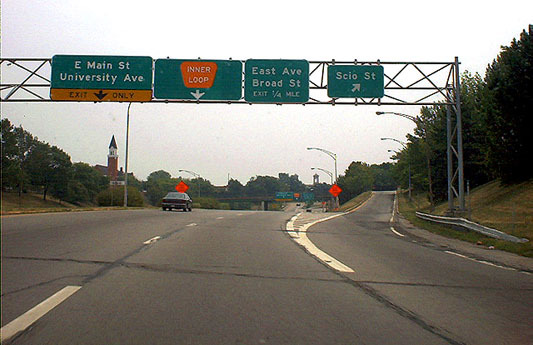 Our city, Rochester, has made some really bad choices in the last half century. Every city has done similarly. Not every city has torn itself down, built an expressway moat, paved all of downtown for parking, moved every bit of retail to the suburbs (with a few notable exceptions, thankfully), and ignored its best natural assets, it’s true, but every city does have a few lulus. And now our city is about to spend $132,000,000 on a couple more stinkers. A bus barn downtown for our lamest kind of bus system, and a huge subsidy for about 750 jobs in a new corporate headquarters downtown. I have written about both these projects here, and so I won’t revisit those discussions again. Instead, I want to think for a moment about what would happen if we took that money and made a few different choices. A recent visitor to our city, urbanist and Brookings Fellow Christopher Leinberger, observed that Rochester is being “lapped” by many other cities of similar size, and many with fewer assets. We fall further behind in assuring the vitality, value, and usefulness of our city, and region, with every passing day. Our priorities are really screwed up. And what does Mr. Leinberger say is the most powerful tool in transforming cities, and in creating new value and vitality downtown? Transit. He calls transit, and transit tools, the rudder that steers the ship that is the city, and region. So how could the $132m be put to better use here, creating greater value and reinvigorating our urbanism? Just two examples are amazing, and instructive. First, Cincinnati. Population of the city: 335,000. Population of the region: 2.2 million. Bigger than Rochester, but not so much bigger: about a third larger in the city, and about twice the size in the region. Cincy is planning a streetcar for its downtown. 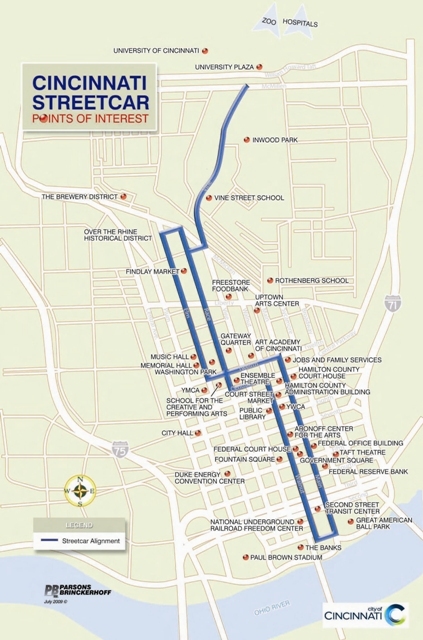 The alignment is set for the first phase, and the cost of the 5 mile system has been pegged at around $100 million. Already developers are investing in sites and projects along the route. The system is estimated to increase property values downtown by something like $380 million, and the system is estimated to spark $1.4 billion in development once it’s up and rolling. This is a return on investment of about $14 for every dollar in. Not bad. The second example, Portland, is the poster child for investing in change that makes radical improvements to urban value, and quality. 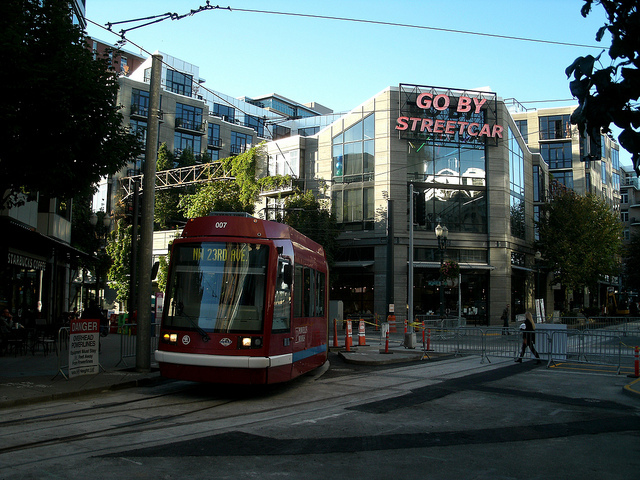 Their streetcar system, with a cost of $149 million, has now induced over $3.5 billion dollars in economic development. So the folks in Cincy are being conservative, as they should be, but realistic about the impact that fixed guideway rail transit (streetcars) can have on their urban future. I have been doing transportation work across my entire career: I am a fully qualified transit geek. But I am not urging our City Council and leadership (three mayors in the last month – not bad, yes?) to swap the mistakes they are about to make for streetcars because I like to play with trains. No, I am asking our leadership to change course because I have an abiding passion for cities, this one included, and a belief that this place can be so much better if we shift our thinking, realign our priorities, and start making good choices for our future. Will the upcoming investment here of $132 million in our two downtown projects create value for our city? Yes. I’m not sure how to calculate what will happen, but will we see over $1.8 billion in new value created, at the rate of $14 out for every $1 in, as in Cincy? No. Will we see our downtown revitalized? No. Will we be making an investment that will change the course of our city and our region? No. There is a light at the end of the tunnel. At the moment, it’s an oncoming train. We can change that.